We use a set of policies, targets, certification, standards and programmes – all underpinned by robust governance – to create the desired outcomes relating to ten high priority risks and opportunities. Our Sustainable Palm Oil Policy 2017 refers to important sustainability principles and standards, including RSPO and ISPO. Respect for Human Rights including Free, Prior and Informed Consent (FPIC). The Policy applies to all IndoAgri palm oil operations, including our plasma smallholders and third party suppliers from whom we purchase crude palm oil (CPO) for our refineries. The Policy aligns with our Responsible Supplier Guidelines 2017 which apply to all IndoAgri's CPO suppliers. Our Code of Conduct guides the Board of Directors and employees of the IndoAgri and its subsidiaries on business ethics. Relevant material topics: A, B, D, I. Relevant material topics: A, C, D, E, F, G, I, J. Certification is a key tool to help deliver on our Policy goals on deforestation, peatland, burning and human rights. Please see detail on sourcing targets below. The Board and senior management of IndoAgri are responsible for enforcing the Group's high standards of corporate governance. This is achieved using business management processes. The aim is to deliver organisational performance, accountability and transparency. IndoAgri's Enterprise Risk Management (ERM) framework encompasses all operating and functional units. Systematic and coordinated risk management is delivered under the framework by the ERM Unit, which reports to the Executive Committee and an independent Audit Committee, supported by the Board and senior management of IndoAgri. The Unit ensures the timely and accurate identification, assessment, mitigation, reporting and monitoring of risks that can adversely impact IndoAgri's ability to achieve its business objectives. Our Code of Conduct and our whistle-blowing mechanism complement our ERM. Since there are various risk issues common to ERM and sustainability management, the Head of the ERM Unit also reports on the effectiveness of sustainability strategies and compliance. "Risk owners" and business unit managers conduct quarterly assessment and reports of current and emerging risks, including sustainability risks. The ERM Unit analyses risk reports and proposes an action plan to address specific issues. Risk reports are then shared with the internal audit team, who validates the findings and actions taken. IndoAgri's sustainability management information system (SMIS) uses real-time data from our SAP system to help track the Group's progress against its sustainability targets. The Group's sustainability progress and performance can be viewed online using a 'dashboard'. We also track the level of RSPO, ISPO, and PROPER 'readiness' at our operations. This means we can make adjustments to any relevant plans during operations meetings in Jakarta which can then be approved by the Board. The Sustainability Team works with the R&D team to improve agronomic practices and HCV area development. The Enterprise Risk Management Unit supports the team in matters relating to policy development, strategy formulation and issues resolution. The Sustainability team reports to the CEO and prepares the agenda for the Sustainability Think Tank, comprising the Board members of the Group and its principal subsidiaries. The Sustainability Think Tank meets regularly to review the progress and direction of the Group's sustainability management efforts. To lend greater focus to the different geographic areas, the Sustainability Team is sub-divided into regional teams, who report directly to the Group's Sustainability Coordinator in Jakarta. In 2013, 11 task forces were formed to run six core programmes as the basis and direction for monitoring and improving each material topic, to deliver our Sustainable Palm Oil Policy. 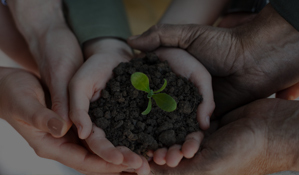 Our Growing Responsibly Programme sets the policy framework for high standards of corporate governance and professional integrity. All our business interactions must be conducted in an ethical, honest, and accountable manner, in accordance with prevailing laws, rules and regulations. The Board evaluates how well we manage governance and integrity based on our Code of Conduct. This programme also supports Sustainable Agriculture and Products programme by nurturing the capacity and competencies of our employees and plasma smallholders and encouraging stakeholder engagement. In collaboration with the Policy and Enterprise Risk Management department, it provides a policy framework for decision-making and good practices, and outlines key processes for improving corporate risk management, leadership and governance. We adhere to the principles and guidelines of SGX's Code of Corporate Governance 2012 and new listing rules on sustainability reporting. No lobbying activities took place in 2017 related to commercial agriculture contracts or commercial terms. Our Senior Management is actively and directly involved in the Group's corporate sustainability management practices, and is committed to open and collaborative ways to resolve arising challenges. This Programme supports all the other Programmes described below. Our Sustainable Agriculture and Products Programme drives the adoption of sustainable practices in crop cultivation and the operation of refineries and mills. This will be done through auditing the plantations, mills and refineries against the respective sustainability standards for our various agricultural crops and products. The Programme helps improve carbon management and mitigate climate change impacts through projects relating to forestry (e.g. HCV assessments), land use, agriculture, transport and waste. This Programme and its supporting quality assurance processes aim to ensure that all our CPO-derived products are traceable, safe, and beneficial for human consumption. 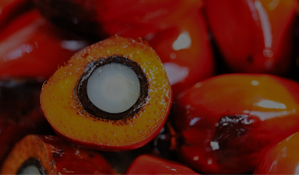 The aim is to ensure that CPO sourcing meets the requirements of our Sustainable Palm Oil Policy 2017. We complement this by complying with international and local food safety standards and certifications. The same level of food safety commitment is expected of our suppliers through our Sustainable Palm Oil Policy 2017 and Responsible Supplier Guidelines 2017. Our products are fortified with minerals and vitamins as required by legislation. Nutritional value is enhanced for certain products as an added health benefit to customers, and for product differentiation. Tracing the origins of the CPO is top priority. We are able to trace all FFB that arrive at our mills back to the nucleus and managed plasma plantation of origin. As part of our Smallholder Programme, we have introduced a barcode tracking system so that we can trace the FFB shipments from our plasma farmers, and identify the Koperasi Unit Desa (KUD) or farming organisations to which individual farmers belong. Each consumer product that leaves our refineries bears a batch number, which can be traced back to the production line, place of manufacture, CPO source and when it was produced. IndoAgri fully supports the Nucleus-Plasma Scheme that was created by the Indonesian government for plantation companies (nucleus) to develop oil palm plots near their plantations for smallholders (plasma). 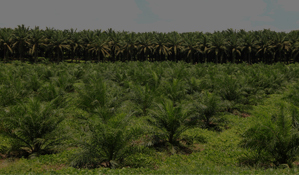 About 40% of our oil palm plasma smallholders are managed independently, the remaining half is managed by IndoAgri. Our Smallholders Programme covers our efforts with the plasma and ex-plasma farmers, and supports the Nucleus- Plasma scheme through the development of inclusive supply chains. We have extended our sustainability efforts beyond our nucleus plantation operations to include our smallholders. 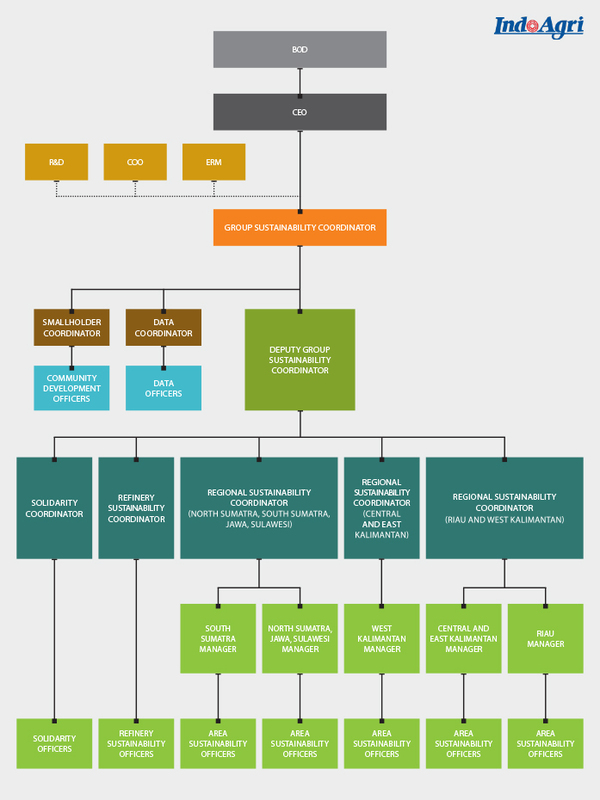 As plasma smallholders are integral to our value chain, they have to be enrolled in the ISPO and RSPO certification schemes. This programme also sets out practical guidelines on building good relations and engaging with our local communities. To alleviate conflicts relating to land rights and to cultivate strong social relationships, we actively engage with local landowners and community leaders. The benefits have been manifold, including the mitigation of theft, protests, roadblocks and other business disruptions. Our Work and Estate Living Programme covers aspects relating to safety, health and wellbeing of our workers and their families, and to human rights. We aim to provide safe, hygienic and healthy work and living conditions for our employees, workers and their families living on the estates. We work closely with the local governments and hospitals to provide essential medical support, facilities and infrastructure for the people living on all our estates. Currently, basic amenities such as accommodation, proper sanitation, clean water supply, waste collection, and electricity are provided on all our estates. We also develop common facilities for the employees and their families as follows. Designated plots in the estates for employees to plant their own vegetables and fruits. We have a flagship programme, IndoAgri Sehati, comprises initiatives at group level on Community health, cataract operations, cleft lip surgery. Our new PROKLIM project is also a key part of the programme, focusing on village engagement and energy efficiency.